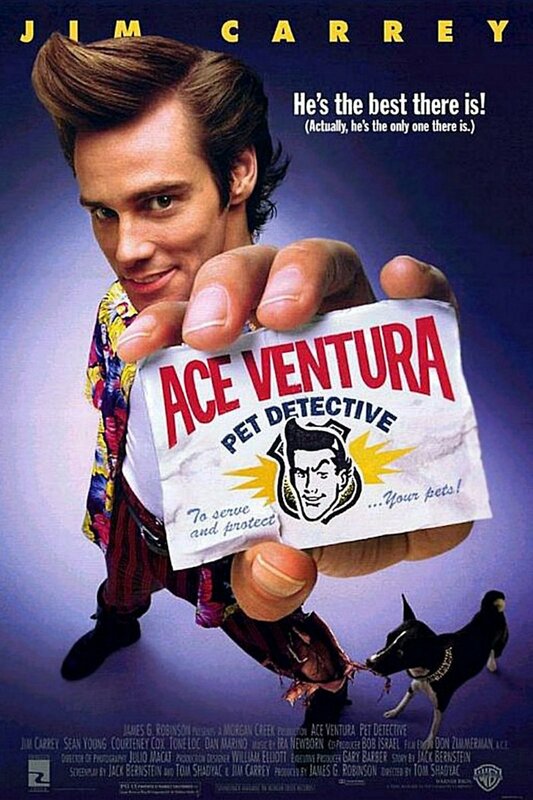 "Ace Ventura: Pet Detective" focuses on a wacky guy who gets along much better with animals than with people. He has pets hidden in every corner of his house, and wherever he goes, he shows a special knack for understanding the way that an animal's mind works. Accordingly, he opens a business that investigates various crimes that have to do with people's pets. However, he hasn't been able to make much money, and his livelihood is in danger. A particularly challenging case that could reverse his fortunes lies before him as he is charged with recovering Snowflake, the mascot of the Miama Dolphins. Snowflake has been kidnapped, and no one has any leads on her whereabouts. If he can find her, his business will boom.